This is a selection with attractive, deeply divided leaves. 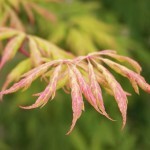 It will form a shrubby tree that turns yellow to orange in the fall. 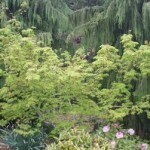 The foliage creates a lacy effect that balances darker evergreen plants. It will take full sun, but performs best with some shade. It was discovered in Oregon by Warner Monroe, and brought into cultivation in 1965.